I recently attended the Shareware Industry Conference, which is an annual meeting of several hundred people in the shareware industry. Each time I go I come back invigorated for another year. This is also the 8th anniversary of Pretty Good Solitaire, which was first released in 1995. It's a good time to go back to the beginning and explain what shareware is all about. Some of you probably know all this stuff, but it's a good idea now and then to go back to the beginning. Shareware is try before you buy software. You can download Pretty Good Solitaire from <http://www.goodsol.com/download.html> or Pretty Good MahJongg from <http://www.goodmj.com/pgmj/download.html>, install the games, and try them for free for 30 days. And note that this is 30 days of actually playing the games, not 30 calendar days, so any day you don't play the game doesn't count. If after 30 days you want to continue playing, or in fact anytime during the 30 days, you can order the game from <http://www.goodsol.com/orderonline.html> or just click on one of the order links in the game. You'll be taken to our secure server where you can order online, or you can print out and mail our order by mail form with a check. This is very different from buying a game in a store, where all you have to go on is the pretty box. You don't know whether the game is any good or not until you get home with it, and then it's too late. With shareware, you can try it out first to see if you like it. If you don't like it, all you have to do is uninstall. It was nice knowing you, try it again sometime, I hope. If you do decide to order Pretty Good Solitaire or Pretty Good MahJongg online, you'll receive an email back from us, usually within just a few minutes. This email will have your registration code and instructions on how to enter it in the game. Just type your code into the trial version and you'll then have the full version. You'll want to keep that email, because you get several years of free upgrades with your purchase. And should you buy a new computer, or need to reinstall your software on your current computer because of a virus or hard drive crash or something (and unfortunately, this can happen a lot), all you need to do is download the trial version from our web site and use your code to register it. There's no need to purchase again, and even if it has been a few years since you purchased and the current version is no longer a free upgrade, we always have an older version that is a free upgrade for you on our download page at <http://www.goodsol.com/download.html>. If you should ever lose your email with your registration code, you can always request that it be sent to you again from our Lost Code Lookup form at <http://www.goodsol.com/regusers.html>. So that's how it works. It's hard to believe that I've been doing this for 8 years now, and that Pretty Good Solitaire has grown from 5 games to 560. I'd like to thank all our customers for making all this possible. We've been able to put out a new game in the past year, Pretty Good MahJongg, and we have another new game coming soon. It looks like it will be even more fun and addicting. And if you aren't a customer, then thanks for trying one of our games. Never hesitate to email me if you have a problem - or even if you don't! We want to know what our customers like or don't like, so we can keep bringing you games that you will enjoy. We're also interested in what other types of games you like to play, to help us decide what kinds of games to do next. A new Traffic Signs tile set for Pretty Good MahJongg is now available for download at <http://www.goodmj.com/pgmj/tilesets.html>. This tile set, for tile matching games only, features various different traffic and road signs on the tiles. This tile set is for Pretty Good MahJongg, which can be downloaded from <http://www.goodmj.com>. 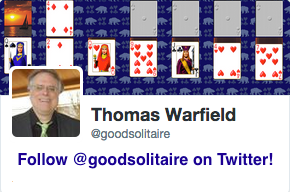 You can submit your Pretty Good Solitaire scores to the web site and see how you rank against other players. Just click on the Statistics button on the main screen of the game, then click the Submit to Web button. Follow the instructions there to submit your statistics. Statistics ranking are updated approximately every two weeks. You can see the statistics for each of the 560 games in Pretty Good Solitaire at <http://www.goodsol.com/stats/index.html>. 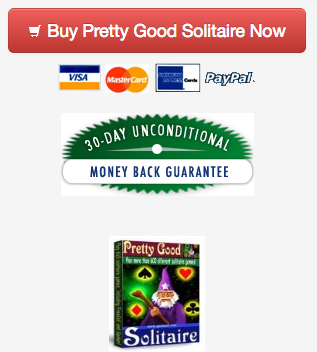 Pretty Good Solitaire, Pretty Good MahJongg, FreeCell Wizard, Spider Wizard, and more. Visit us at <http://www.goodsol.com>.